An Israeli drone crashed in the southern Gaza Strip on Wednesday near the border with Israel, witnesses said. Eyewitnesses told Ma'an that the drone fell east of the city of Rafah. Israeli forces quickly entered Gaza and moved the drone to the Israeli side of the border, witnesses said. An Israeli army spokesman said he was unfamiliar with the incident. Israeli military drones regularly conduct reconnaissance missions over Gaza even after a ceasefire that ended Operation Pillar of Defense, a 2012 Israeli military offensive on the coastal territory which left 170 Palestinians and six Israelis dead. 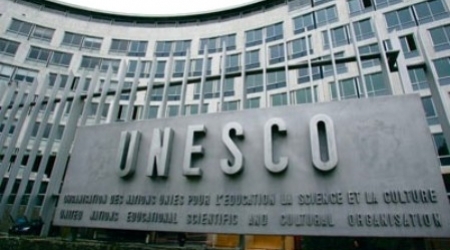 UNESCO (the United Nations Educational, Scientific and Cultural Organization) set an opening date for an exhibition on the history of Jewish presence in the Palestinian land. The exhibition titled “ Book, People, Land- The 3,000 Year Relationship of the Jewish People With the Holy Land” ,was previously postponed because 22 Arab countries rejected it, while the Israeli occupation, U.S, Canada, and some Jewish organizations around the world criticized the suspension. UNESCO Director-General Irina Bokova told the Wiesenthal Center that the exhibit, which the center organized along with the governments of Canada and Montenegro, will open on June 11, 2014, at the UNESCO headquarters in Paris. The exhibit consists of 30 illustrated panels and explanatory texts. Rabbi Marvin Hier, the founder and dean of the Simon Wiesenthal Center said in a statement, There is no connection between the exhibition and U.S Secretary of State John Kerry’s efforts to revive the Middle East peace process. The United States and Israel lost their UNESCO voting rights last November after suspending funding to the organization for its recognition of Palestine. 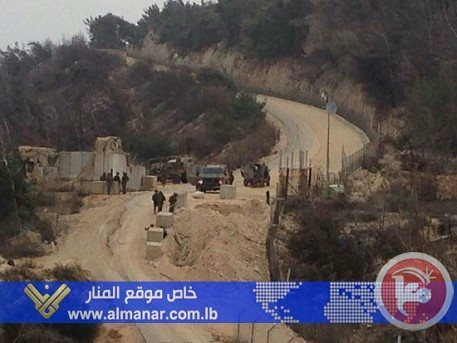 An Israeli soldier was injured on Monday morning in an explosion near the border fence between Israel and Lebanon, according to Lebanese TV station al-Manar. The TV channel, which is affiliated with Lebanese group Hezbollah, reported that an explosion occurred while the soldier was working inside a trench Israeli forces had dug a month ago near the fence. The report did not give further details about the nature of the explosion. Although the border is generally calm as a result of a ceasefire between Hezbollah and Israel in effect since 2006, in recent months there has been an uptick in violent incidents. In December, an Israeli soldier was shot by his Lebanese counterpart on the border, though authorities claimed it was an "individual act." The attack came four months after an Israeli incursion onto Lebanese territory near the border, which was repelled by an explosion claimed by Hezbollah that injured four Israeli soldiers. Israeli soldiers had penetrated 400 yards into Lebanese territory at the time of the blast. A recent poll conducted by the University of Haifa has revealed that the number of Druze refusing to serve in the Israeli army is increasing. It also showed that a growing number of Israeli youth prefer being jailed instead of military service. Only 36 per cent of the youth who took part in the poll supported obligatory recruitment, while 47 per cent believed military service should be voluntary. 17 per cent believed the current conscription policy should be revoked. According to the poll, 47 per cent of Druze said there is no difference between them and other Arabs, while 27 per cent claimed their situation is worse than the Arabs in Israel. Moreover, 83 per cent said that their life is worse than the Jews in Israel despite their military service. 90 per cent of Druze polled said they held negative views towards the Israeli establishment because they suffer land confiscation and geographic siege similar to other Arabs. About 75 per cent of them said their negative feelings were because of high rates of unemployment in their community compared to the relatively low rate of unemployment among Jews in Israel. This latest poll by the University of Haifa affirms the findings of similar surveys; that the rate of recruitment in the Israeli army has sharply declined. While some placed the rate at less than 50 per cent, other found it to be below 48 per cent. The issue of recruitment of Palestinian Druze into the Israeli military has become a major public debate after the popular youth musician, Omar Sa'ed, publicly declared that he preferred spending time in prison rather than serving in the Israeli army. Another youth from Druze community issued a public statement explaining the reason for his refusal to in the Israeli army: "Because I am Palestinian, my morals and conscience do not allow me to serve in the Israeli occupation," Orwa Ghalib said in his statement. Israeli chief negotiator warned the Palestinian president Mahmoud Abbas of ‘paying a price’ for not accepting the Israeli demand of a Palestinian recognition of Israel as a Jewish State, Israeli media reported. Should Palestinian President Mahmoud Abbas keep sticking to his positions unacceptable by neither international nor Israeli community, including his position refusing to recognize Israel as a Jewish state, ‘he shall pay the price for that’, Tzipi Livni stated. Livni, who is the occupation state’s minister of justice, said in weekly “Meet the Press” show broadcast on Israel Channel 2 on Saturday evening that she hopes an agreement could be reached with the Palestinian negotiator within the remaining three months of negotiations. She noted that the role of the Israeli leadership is to create a new reality and not be influenced by opinion polls, in her response to the latest opinion polls where only 7% of the Israelis appeared confident that ‘peace talks’ would end in a final-status agreement. Responding to being accused of showing sympathy with the organizations calling for a boycott of "Israel", she said that such accusations are unbearable. It’s noteworthy that Livni is identified as a war crimes suspect, as she was foreign minister at the time of the 2008-2009 Gaza invasion and directed threats against Gaza in a press conference joined with Egyptian foreign minister from Cairo. The woman who made human rights the central issue of the left’s political agenda has died at 86. Fearless and true to her values, Aloni stood up to Israel’s generals and rabbis until her very last days. 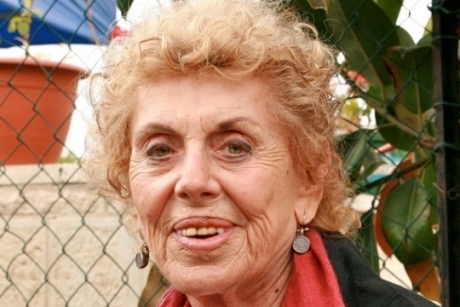 Shulamit Aloni, founder of leftist Meretz party, former minister of education and the legendary mother of the Israeli civil rights movement, died Friday at the age of 86. Aloni served 28 years in the Knesset. She left the Labor Party during her third Knesset term and established Ratz, an avant-garde party focused on civil rights. In 1984 Ratz became the political home of Peace Now, and in 1992 Aloni united the party with Shinui and Mapam, leading the left-wing bloc for an all-time record of 12 seats, which enabled the formation of the second Rabin government. Aloni, who then became the new minister of education, was immediately targeted by the settlers and the ultra-Orthodox. She was forced to resign her post in 1993, following an ultimatum by Shas to Rabin. Aloni left the Knesset in 1996, but remained politically active, voicing her opinions on the occupation and human rights issues until her very last days. For my generation of leftist Israelis born the seventies, Aloni was probably the central figure in our political development – the person you listened to in order to know where you stand on a certain issue. She was the standard bearer of an entire political community. Not Rabin, and certainly not Peres. Shula, as she was referred to, was the voice of our political conscience. One cannot over emphasize her influence. The woman who almost single-handedly challenged all the powers of the Israeli establishment, from the generals to the rabbis, in the same fearless manner. Her statements often became the center of national controversies. Her own personal history – she was part of the generation that founded the state, and was a former member of the Palmach underground organization – or the fact that she possessed the biblical knowledge of a Yeshiva student, allowed her to stand her own ground against any politician or institution. She just couldn’t be bullied; since her departure from politics, the left always seemed a little more scared and apologetic. While Aloni’s confrontations with the religious parties received most of the media attention in the eighties and nineties (Shas’ Ovadiah Yossef famously said that the day of her death should be celebrated), Aloni had a profound impact on the liberal revolution of the nineties. Before Aloni, the left in Israel was focused (like the rest of the political system) on security and diplomatic issues. Aloni brought not only a new agenda, but a new language and context to the political left – one which put women’s rights, LGBT rights and Palestinian rights as its central political issues. Everything that followed, from the rise of human rights organizations to the ground-breaking decisions by the Supreme Court on those issues could not have happened without the work of Aloni and her colleagues. For Aloni, human rights were never abstract or theoretical, but rather rooted in the local context of politics and history. Most important of all, she taught the Jewish left that one cannot speak on human rights without mentioning the Palestinian issue. Nothing could be further from Aloni’s legacy than the cynical attempt by Israeli governments to use the hard-fought achievements of the LGBT community as part of their propaganda against the Palestinians. In the wonderful documentary on her life made by Anat Saragusti (see below, Hebrew only), Aloni, by then long retired, is seen going to checkpoints together with women of Machsom Watch, or sitting at her desk, trying to find out the fate of 500 uprooted Palestinian olive trees. Today, in the post-Oslo, post-Intifada period, there is a renewed understanding among the left that the occupation is a human and civil rights issue, rather than a diplomatic or security-oriented problem. That was Aloni’s legacy, too. 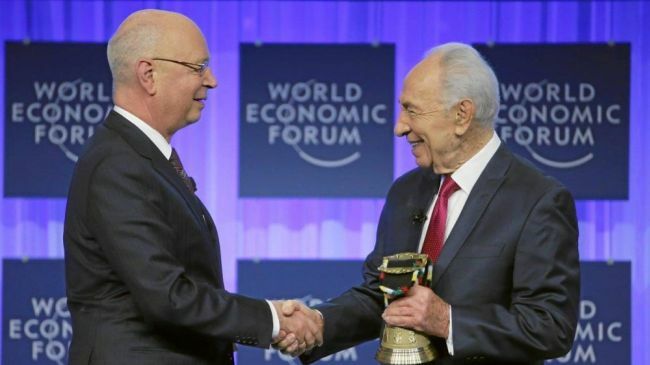 Israel’s Shimon Peres awarded in Davos! Israel President Shimon Peres has been awarded during a special ceremony at the World Economic Forum (WEF) in Davos, Switzerland. The Israeli criminal received the “Spirit of Davos” award from WEF Founder Klaus Schwab on Friday. The Israeli regime forces have killed thousands of people during invasions of Palestinian lands, Egypt and Lebanon since 1948. The Tel Aviv regime conducts airstrikes and ground attacks against the besieged Palestinian territory of the Gaza Strip on an almost regular basis. Israel also denies about 1.7 million people in Gaza their basic rights, including the freedom of movement and the right to decent living, work, health and education. 15 Israeli soldiers were injured on Friday evening after a fire broke out in an Israeli warship off the coast of the Gaza Strip, according to Israeli media sources. Israeli newspaper Yediot Ahronot reported that the injured were taken to Tel Hashomer hospital with injuries ranging from light to moderate, while others suffered from smoke inhalation. 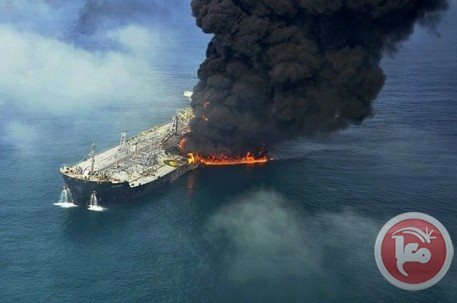 The newspaper added that the fire broke out while the ship was engaged in routine activities off the Gaza coast due to an engine malfunction. The newspaper added that Israeli naval forces had opened an investigation into the cause of the outbreak of the fire, which had caused serious material damage. This was the second incident involving the Israeli navy in less than a week, after a small naval vessel capsized on Monday a few miles off the Gaza coast during routine operations. No one was reported injured as a result of that accident. A Montreal-based rights group has denounced a decision by the Canadian government to give financial support to Israel, Press TV reports. The Palestinian and Jewish Unity (PAJU) has said the government of Prime Minister Stephen Harper should boycott Israel, which has violated over 400 UN resolutions since it started seizing Palestinian lands in 1948. "You know, Canadian foreign policy states... that it views the settlements as illegal under international law. Yet, successive Canadian governments disregard their own policy and this particular government, the Harper government, has been the worst of all. Not only has it disregarded its own foreign policy, but it actively supports Israel's apartheid policies in the occupied territories," Katz said. Harper "went to Ramallah... [but] did not visit one refugee camp and the worst still... paid lip service to the idea that any criticism of Israel is a manifestation of a new form of anti-Semitism," he noted. "We feel that the Harper government has gone way too far in its support for the [Israeli Prime Minister Benjamin] Netanyahu regime, but in our minds what that shows is the extent to which Canada has become isolated politically... so is Israel under Netanyahu. In a way, these two individuals really are cut from the same cloth," Katz said. On Tuesday, Harper and Netanyahu announced the new agreement that will boost economic, cultural and social ties between Canada and the Israeli regime, and will expand the free trade pact between the two sides. Canada's Conservative leader, Stephen Harper, spoke earlier this week in front of the Israeli Knesset. It was a short speech, beginning with homilies, platitudes, and economic references and then turned towards the righteous values he deems paramount in both Canada and Israel. In his introduction, he talked about Jewish Canadians: "[Jewish Canadians] are also immensely proud of what the people of Israel have accomplished here, of your courage in war, of your generosity in peace, and of the bloom that the desert has yielded, under your stewardship..."
Notice that he only referenced Jewish Canadians in his speech. There are many Canadians who would consider the statement to be hypocritical if not an outright lie. Courage in war is arguable, considering the overall propensity of Israel to use pre-emptive attacks on neighboring countries and to use the military to control the occupied Palestinian territories. Beyond that, the Israeli use of chemical weapons (white phosphorous) and other weapons targeting from helicopters, drones, and fighter jets hardly smells of courage. I would wish for some references for their generosity in peace, which may be true if there were a peace to behold. As for the desert blooming under their stewardship, this buys into the mythological Israeli narrative that the land was empty desert before the Jewish immigrants arrived. The Palestinians had a healthy agricultural society working before the advent of the European settlers. Harper continues, "the Jewish people deserve their own homeland and deserve to live safely and peacefully in that homeland." Okay, well and good, but here is a double standard: why do not all the Palestinians, now subject to martial law in the occupied territories and apartheid laws (more on this later) in Israel 48, deserve the same? Shortly thereafter Harper speaks another platitude from his Conservative political platform, "a Canadian tradition to stand for what is principled and just, regardless of whether it is convenient or popular." Well, no, that is not exactly a Canadian tradition, as much as Harper would like it to be. Canada has in most cases followed the lead of the U.S. in world foreign affairs, has aligned itself with the corporate agenda of "free trade", and is one of the leaders of mistreating indigenous populations abroad for corporate mining rights (not to mention right here in Canada). Oh, okay, yeah, that is not really popular, perhaps convenient. 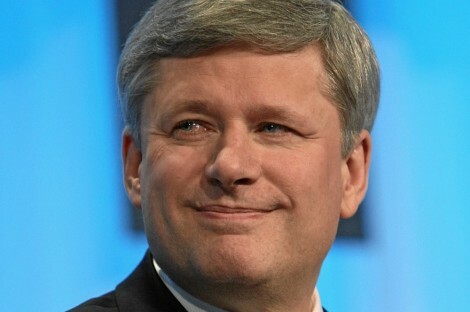 Finally Harper gets to the heart of his Islamophobia, his fear of his invented word, Islamicism. Although he never says the word in his speech (too close to the killing grounds?) it is implicit in what he says, "support today for the Jewish state of Israel is more than a moral imperative it is also of strategic importance, also a matter of our own, long-term interests." Hmm, strategic importance, undefined, but rest assured it is a reference to the Islamic menace he see threatening everyone from everywhere. Before adding more to this he provides more of his beloved homilies, "Israel is the only country in the Middle East, which has long anchored itself in the ideals of freedom, democracy and the rule of law. They are the things that, over time and against all odds, have proven to be the only ground in which human rights, political stability, and economic prosperity, may flourish." Anchored in human rights? Oh please.....! Israel has consistently denied the human rights of the Palestinian people. Their land has been expropriated, annexed, stolen. 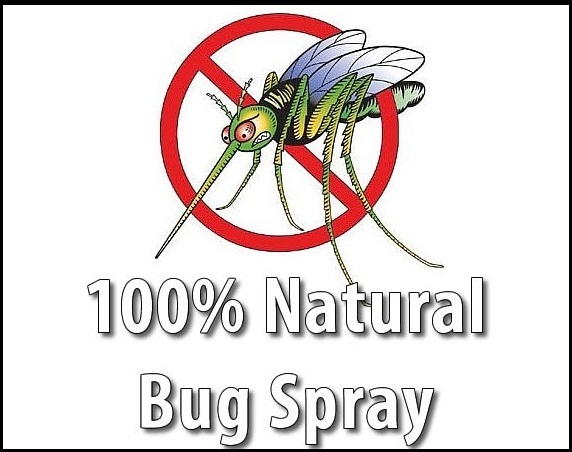 They are subject to martial law and apartheid law. The "wall" is condemned as a violation of human rights. They have destroyed vast areas of agricultural land, destroyed civic institutions such as hospitals, education, and power generation, and not allowed their reconstitution. Israel has assassinated many of the Palestinian leaders and then complained they have no one to negotiate with. They have unilaterally broken ceasefires and then attacked the people of Gaza and Lebanon with overwhelming force (and underwhelming results). That pretty much eliminates democracy as well, as one cannot be a violent occupier and a violent initiator of military attacks and call oneself democratic. The rule of law may be there for some people, but whose rules? Whose laws? Those arbitrarily made up by the military? And in green line Israel, why are there so many rules that prohibit the movement and freedoms of the Arab people living there? Having extolled the virtues of the Israeli human rights record, Harper then continues with his Islamophobia, "Those who scorn modernity, who loathe the liberty of others, and who hold the differences of peoples and cultures in contempt. Those who, often begin by hating the Jews, but, history shows us, end up hating anyone who is not them. Those forces, which have threatened the state of Israel every single day of its existence, and which, today, as 9/11 graphically showed us, threaten us all. And so, either we stand up for our values and our interests, here, in Israel, stand up for the existence of a free, democratic and distinctively Jewish state or the retreat of our values and our interests in the world will begin." It is obvious to Canadians, if not the world, that Harper's implication here is that the Muslim world is the world of evil (as many other right wing Christian dominionists also see it), lacking modernity (whatever that is; they seem to use modern communications and weapons quite well, as well as being able to work their way around the financial parameters of our society – i.e. oil and U.S. fiat reserve currency), and obviously threatening us all. Global polls indicate that Israel and the U.S. are perceived to be the main threats to world peace. Harper makes a short reference to the Palestinians being able to have the same kind of state as Israel, "a sincere hope that the Palestinian people and their leaders... will choose a viable, democratic, Palestinian state, committed to living peacefully alongside the Jewish state of Israel." This of course references the idea of a two state solution, an idea that is becoming extremely doubtful as more and more settlements are built on stolen Palestinian land. It always has been doubtful as the so-called peace talks over the past thirty years have been used mainly as a cover for the Israelis to continue building more and more settlements. There is no real contiguous land left for the Palestinians to have their own sovereign state, just bits and pieces of bantustans. A two state solution is possible, it is just that it is overwhelmingly improbable. It would take a true miracle to make the settlers give up their settlements and benefits to return to Israel 'proper'. The two main remaining solutions are quite different to each other. One solution is a free and democratic state with equality in law for all peoples. This initiates the great demographic fear as the Palestinian population is increasing faster than the Israeli population, even after the huge Russian immigration of the 1990s. A subset of this idea is a binational state with separate institutions (education, civic laws et al) within a larger society of equal rights before the law. Another possible solution is the status quo, with the small Palestinian bantustans remaining forever as apartheid settlements while Israel develops the land around them, hoping that eventually the Palestinians will tire of their suffering and move out. The US Department of State on Thursday designated a Palestinian leader of the Islamic Jihad movement a "Specially Designated Global Terrorist," according to the State Department's website. Ziyad al-Nakhalah was designated as a wanted "terrorist" under an executive order "which targets terrorists and those providing support to terrorists or acts of terrorism," the State Department said in a statement. 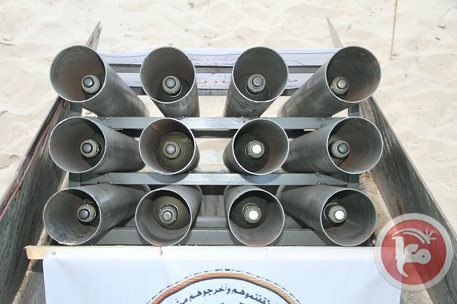 "The consequences of this designation include a prohibition against U.S. persons engaging in transactions with Ziyad al-Nakhalah, and the freezing of all property and interests of Ziyad al-Nakhalah that are in the United States, or come within the United States or the possession or control of U.S. persons," the statement said. Responding to Thursday's designation, a member of Islamic Jihad's political bureau told Ma'an that the decision provides cover for Israel to assassinate Islamic Jihad leaders and members. In the designation, the US emphasized its partnership with the Israeli occupation in crimes against Palestinians, Nafith Azzam told Ma'an. 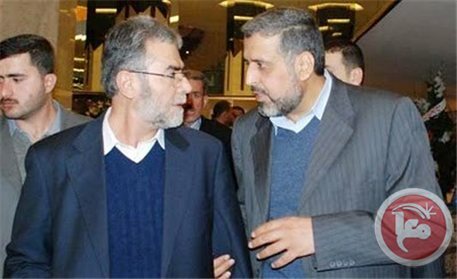 Azzam said that the US decision would not change Islamic Jihad's determination to fight against Israel and to defend the Palestinian people. 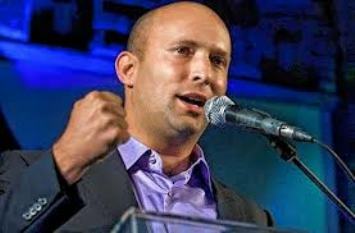 In a statement to his Habayit Hayehudi Knesset faction on Monday, Israeli Economy Minster Naftali Bennett claimed that the future of Israel's economy would be detrimentally impacted by the creation of a Palestinian state. Bennet called on Israeli Prime Minister Benjamin Netanyahu to stand up to the pressure to reach an agreement that would lead to the creation of a Palestinian state. In light of the recent decisions of leading European and Dutch pension funds, concern of boycotts and divestments have increased. However, Bennet claims that the "boycott threat paled when compared to the security problems a Palestinian state in the West Bank would create for Israel," Haaretz reported. He went on to argue that Israel has faced economic boycotts in the past and has survived and prospered, and that Israel's economy has grown from reassertion of its power over Palestinian areas. 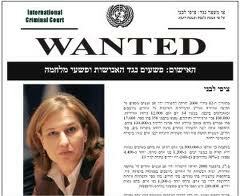 Other sources tell that Israel Justice Minister Tzipi Livni admonished Bennet for downplaying the threat of boycotts. She accused him of listening to extremist rabbis rather than business leaders. She stated that "the economy and trade minister must decide if he represents all Israeli citizens or just residents of isolated settlements". Bennet also got attacked for telling The Jerusalem Post that he intends to draft the support of enough MKs to block Netanyahu from making concessions to the Palestinians. Baruch Marzel, who was part of the Otzma Le'Israel party that ran in last year's elections stated "The only thing Bennett has learned in politics is how to spin and take credit for work done by others." He added, "After a year of Bennett, the Land of Israel is facing the greatest danger since the Oslo agreements." 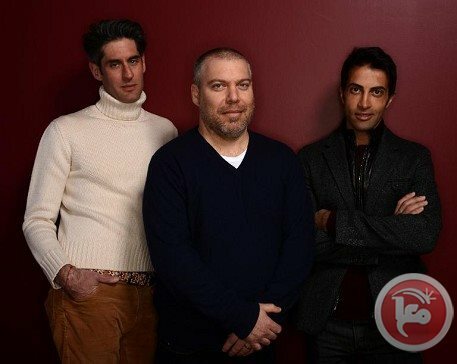 The son of a founder of Hamas who spent 10 years as an Israeli collaborator at the heart of the Islamist movement is thrown into the spotlight in a film that premiered at the Sundance Film Festival. From 1997 to 2007, Mossab Hassan Youssef, the oldest son of Sheikh Hassan Yousef, worked for Israel's Shin Bet internal security services, before relocating to the United States and converting to Christianity. In 2010 he published a book about his life, which has been adapted into "The Green Prince," in competition at the major independent film festival, which runs until Sunday in the ski resort of Park City, Utah. Israeli director Nadav Schirman said he discovered the story when the book came out. "I realized that we knew nothing of Hamas. (Mossab) was giving such an insider description there," he told AFP. "We, as Israelis, we're living next door, we are neighbors and we know nothing." He contacted Mossab and arranged to meet him in New York. He also met Gonen Ben Yitzhak, the Palestinian mole's Shin Bet handler -- and decided to focus his movie on the astonishing relationship between the two men. Shin Bet arrested Mossab in 1996 for arms possession when he was 17 years old, and a devout follower of his father's beliefs. Gonen proposed that he became a spy for Israel. Mossab accepted, planning to become a double agent, to work against the Israelis. But in prison he came into contact with other Hamas members, and said he saw a side of the movement he did not recognize: torture, intimidation and summary executions, and so he decided to work for Israel. Over the course of a decade, he said he prevented dozens of suicide attacks, helped secure the arrest of key Hamas figures, and even stopped a planned attack on Shimon Peres, now Israel's president. These results were only achieved because of the trust built up, little by little, between Mossab and Gonen, according to Schirman. "They had to take a leap of faith to trust one another," he said. "And when I look at the political map today the Palestinian leaders don't trust the Israeli leaders and the Israeli leaders don't trust the Palestinian leaders. And without trust they will never get anywhere. But trust implies taking risks -- that's the only way to really create a valuable relationship." Rejected by his family, Mossab now lives under a new identity in California -- but says he has no regrets. "Unfortunately it's very hard when you choose between bad and worse. When I look back, I could have done better and I wish I could achieve some of the achievements today without having to sacrifice my family, for example," he told AFP. "I knew my life would change forever and that unfortunately, I would lose my family and the people that I loved, but for the sake of telling a truth that I'm not ashamed of," he added. At some points a little dry, the film mixes Mossab and Gonen talking to the camera with archive footage and reconstructions of key scenes. "There are only two characters in the film and yet the film plays like a suspense thriller. That was the biggest challenge," said the director. Gonen also paid a heavy price for working with Mossab. He had to leave Shin Bet for protecting the Israeli "mole" -- sometimes in violation of the intelligence service's own rules. "I have regrets. But if I look today at our story, I know that what I did was right. It was not easy, it put me in a very unpleasant position, even today, but I don't regret it," he said. "I know that when you try to make a change, you cannot sit back in your comfort place -- you need to do something and pay some price. Mossab really paid the price. My price is reasonable for what I did and I would do it again today." Mossab's father, Sheikh Hassan Yousef, was released from an Israeli prison on Sunday after spending more than two years in jail on charges of belonging to an "illegal" organization. Palestinian collaboration with Israel is an extremely sensitive issue in the occupied West Bank and Gaza Strip, with information passed to Israel's security services often being used to make arrests and assassinate political and militant figures. Under Palestinian law, collaboration with Israel is punishable by death. However all execution orders must be approved by the president before they can be carried out. 74% of young Israelis see Israel as a racist society that discriminates between its citizens and deepens hatred of non Israelis, according to the Israeli radio. The radio reported the results of the annual survey issued by Mas’a Institute in a study to what is called the Holocaust, young Israelis were questioned about the existence of racism and xenophobia within the Israeli society. The majority of them confirmed the existence of racism while a small percentage said racism never exists. “Students from primary and secondary schools in Israel participated in the poll,” it said, pointing out that the data which would raise fear related to incitement and racism in the Israeli society. The rate of discrimination against non Israelis has increased significantly in the recent times. 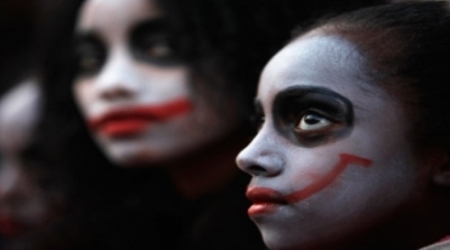 The poll indicated that In 2008, 39% assured that Israel is racist.